VR6 engines have been produced since the 1980s by Volkswagen. The family belongs to a class of engines called V-Line. They are German-engineered engines with a unique design and sound. The family consists of several engine variants found in mostly in cars. One version, called the Horex, is used in motorcycles. Since these engines are older, they are not as common today. However, they set a solid foundation for successive engines, namely the VR5, that are equally popular. VW initially launched this engine type to meet the unique needs of a select vehicle class. Specifically, the engine was designed for front-wheel drive vehicles equipped with transverse engines. Through this modification, VW could install its new six-cylinder engine in cars that previously took four-cylinder engines. This was accomplished by creating a narrower angle between cylinders. This allowed the engines to work with just one cylinder whereas many other V-lines needed two. The earliest version of these engines had 12 valves while later models got 24. Although these engines were versatile and used in many of Volkswagen’s cars (they were even sold to Mercedes-Benz, Audi, and Porsche), they weren’t without problems. While revolutionary at the time, their technology has since been surpassed. Today, a similar four-cylinder variation is stronger and lighter-weight than the original. Although they were made as simple and cost-effective engines, their reliability falls behind that of what more modern engines offer. The engines also have more lag time than competitors and successive versions, including the VR5. Common mechanical problems include cooling system issues and leaking head gaskets. The spark plugs and wires can also wear out quickly. If they’re not replaced in time, this can cause the engine to misfire. Keeping up with regular oil changes can prevent damage to the spark plugs and other sensitive components. Although it’s not a mechanical problem, another concern among owners is that since the engines have been phased out, replacement parts are becoming increasingly scarce. They’re also more expensive. The Volkswagen VR6 has a stock power output ranging from 138 to 300hp depending on the variant.. As with any engine, however, there are options available for modifying the engine and increasing its power. 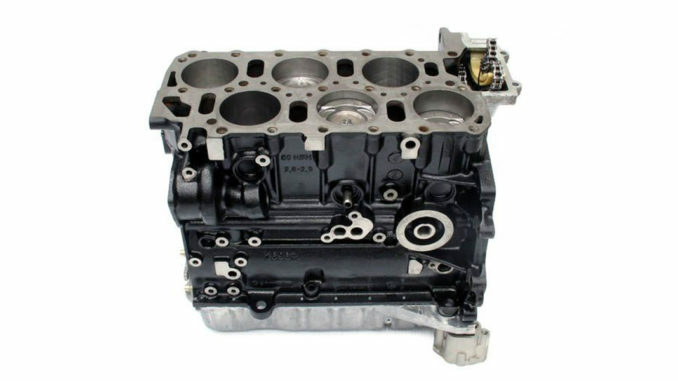 Since the engine family contains various engines that have been adapted to many Volkswagen cars, some parts and components are specific to a certain engine year or model. There are a variety of options available to get more horsepower, turbo power, and overall better performance. With a turbo kit, you can boost your engine’s power between 350 HP and 600 HP. One brand that makes these parts is Full Throttle. The kit comes with a more advanced turbo-charger and other components needed to safely and efficiently increase the engine’s power. This includes an inline fuel pump, an electronic boost controller, a stainless steel downpipe, a stainless steel manifold, stainless steel lines for oil and water, fuel injectors sized 500 ML, a turbo boost controller, and a fuel pressure regulator.A common problem with aftermarket turbo kits is managing charge air temperatures. Typically, an air-to-air intercooler is enough to do the job, however, it’s not always enough. For those who want super low and consistent charge air temperatures, HPA offers a liquid cooled short runner intake. One of the main differences in these two variants is age. Engines with a 15-degree design were designed up until 2005. In 2005, the 10.5-degree variant (called the BLV) was designed to give the engine more horsepower. It also featured a direct-injection technology and was outfitted just to the Volkswagen Passat. Another difference between these two versions concerns the angle between their cylinder banks relative to earlier models. Both replace the earlier engine design that had a traditional angle between 45 and 90 degrees. With the newer engines, you’ll find just one cylinder head instead of two. This makes them easier to produce, modify, and service. They’re also more common on newer vehicles, which makes it easier to find replacement parts. The 15-degree engine is more powerful in stock form because of a design modification that improved its power and efficiency. The 10-degree engine is simpler in design and layout, however, which makes it easier to modify.